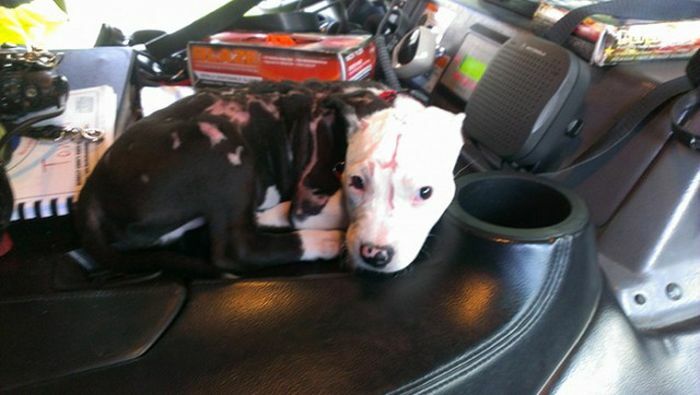 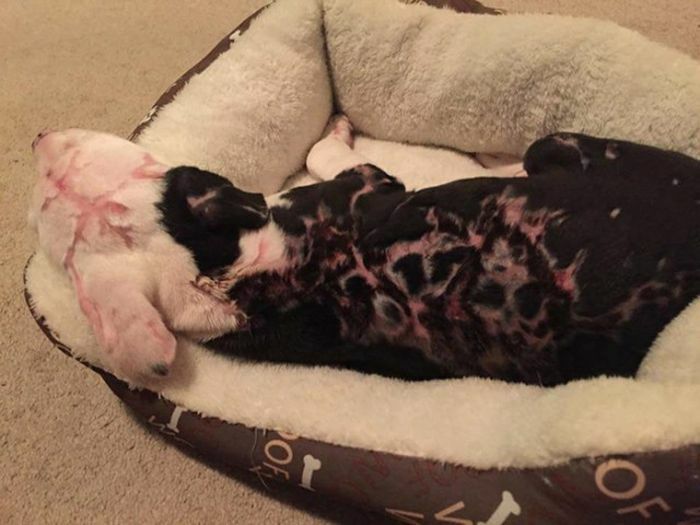 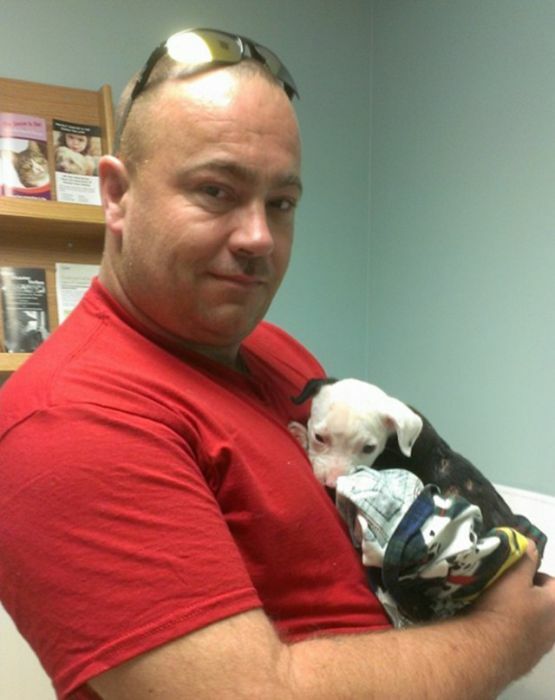 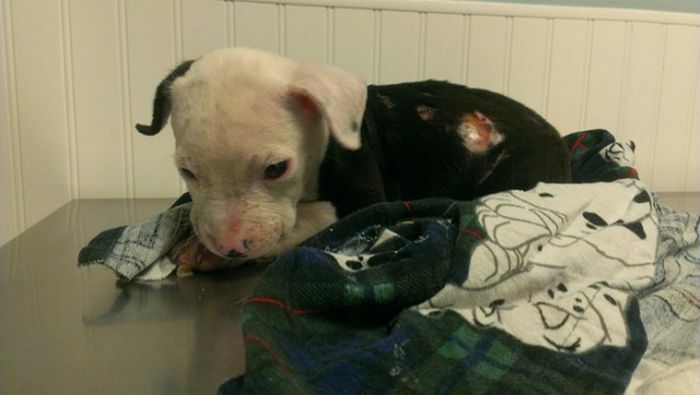 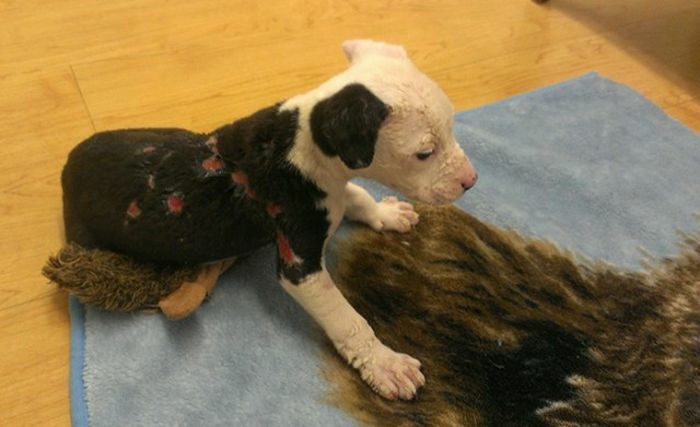 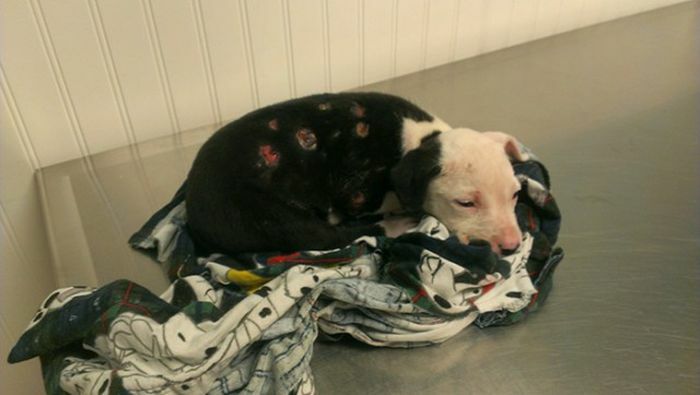 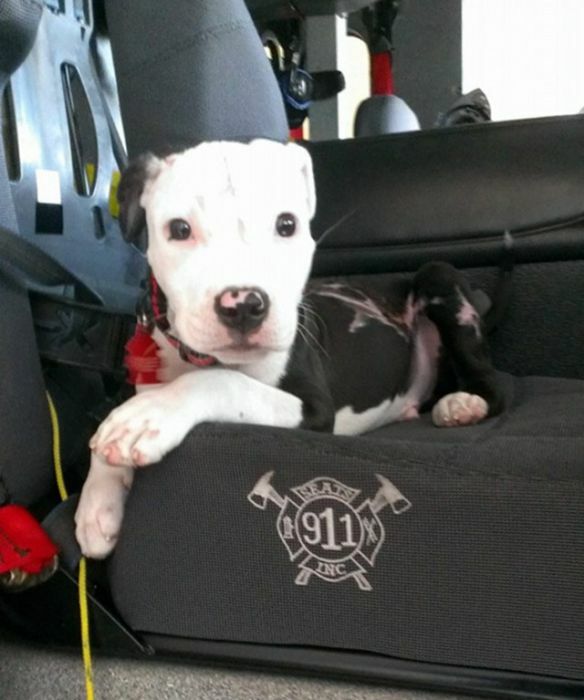 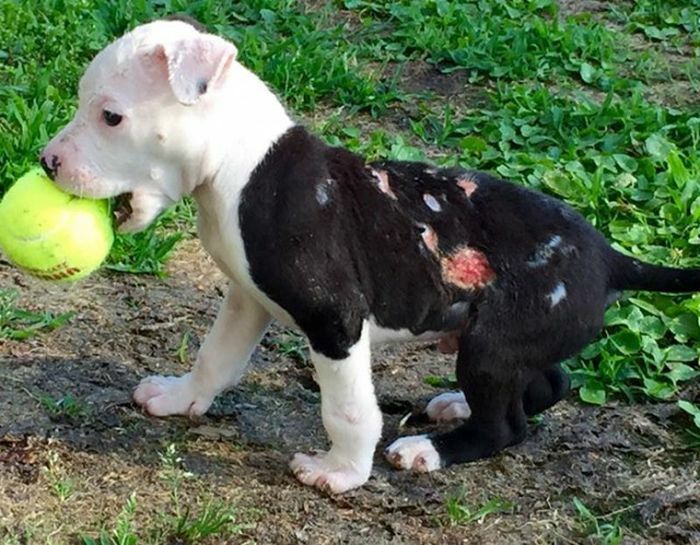 This poor puppy named Jake was only a few weeks old when he almost lost his life. 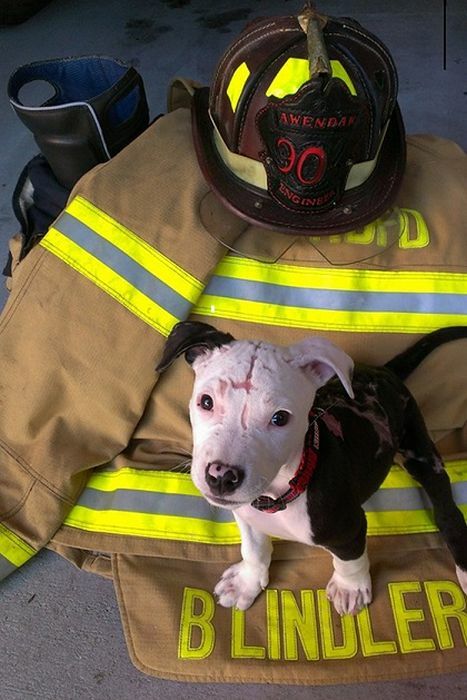 He got trapped in a burning barn before he was saved by William Lindler. 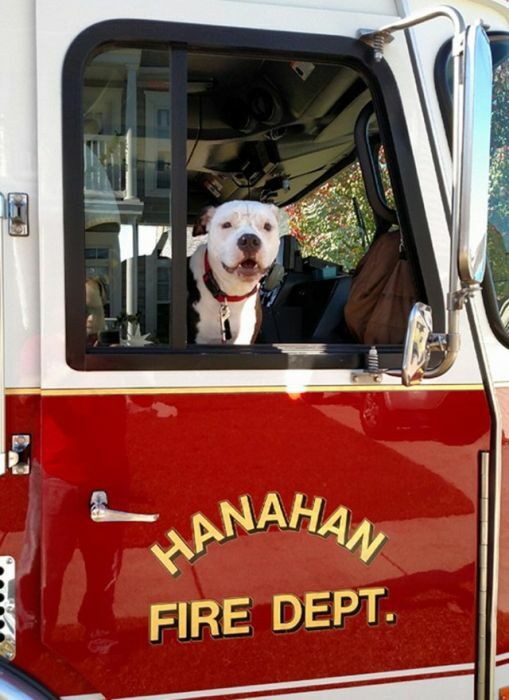 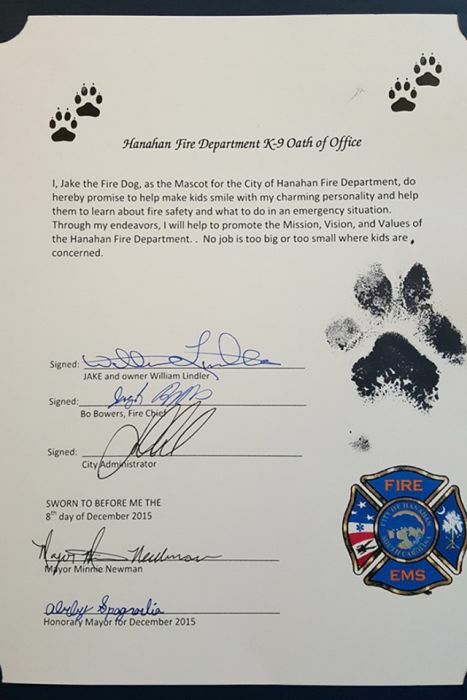 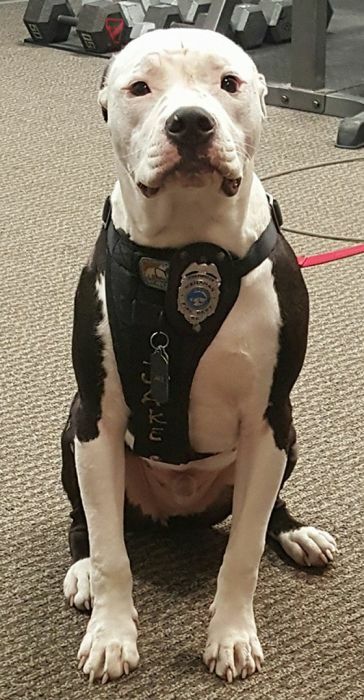 Jake now works as the official mascot for the fire department in Hanahan, South Carolina where he helps to teach kids about fire safety.